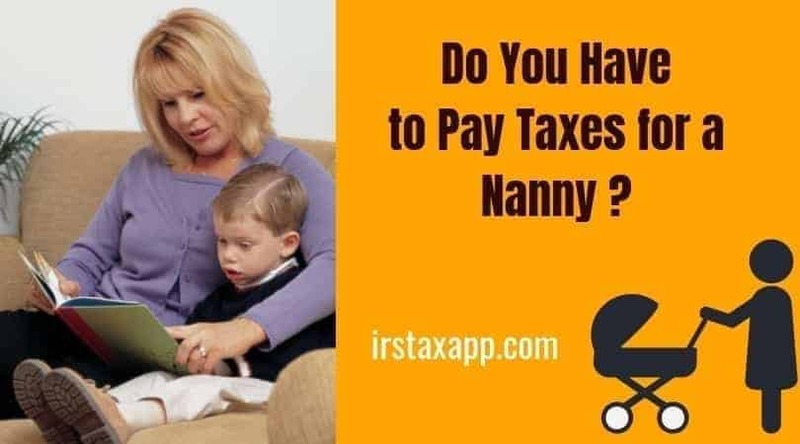 Nanny tax is federal withholding tax including social security and Medicare employment taxes that you become responsible to deduct at source and deposit to treasury from the payments made to a household employee . In other words, Internal Revenue Code considers you an employer for a nanny that you hired for your kids and him/her as your employee.The rational behind treating Nanny or Caregivers as your employee is that the Individual/family who hired them has the right to tell the caregivers what needs to be done. This job contract fulfills employer-employee relationship between them. So, IRS rules for tax withholding and other social security and Medicare employment taxes withholding laws also apply on you . What if Nanny is a Family Member ? When is Nanny Tax Not Payable? If you take your kids to a day care center or to someone’s house, you don’t have to pay nanny tax because , in such cases ,the child care workers may be employees of the day care center, independent contractors or part of another type of business. If your child is cared for by your relatives like spouse, your child under age 21, your parent, or any child under 18, and you pay them for caregiving service . If you are paying to a high school student for Nanny or babysitter services . Household employers file and pay the exact same employment taxes as commercial employers do. Form 1040 Schedule H is for the household payroll tax reporting. A state income tax withholding form (if your state has an income tax). If you and the employee have agreed for tax withholding ,you need to deduct & deposit the tax . Please consult the tables in IRS Publication 15, Employer’s Tax Guide, to determine the correct amount to withhold. In addition, you should withhold 7.65 percent of the wages to cover the Social Security and Medicare taxes your employee has to pay and add 7.65 percent of each employee’s wages to Social Security and Medicare taxes from your side.So basically , you need to deposit 15.3 % per employee ! Remember you don’t have to deduct social security or Medicare taxes from payments of caregiver service to your spouse or son or parent or anyone under age 18. Pay estimated tax payments each quarter or increase the amount of income tax your employer withholds from your pay . This is important for avoiding interest & penalties. Federal income tax you withheld from your employee’s pay. Federal Unemployment Tax (FUTA) if you paid cash wages to household employees totaling more than $1,000 in any calendar quarter during this year or the prior year. At the end of the year, complete Form W-2 for each employee and provide copies to them. You must also send a summary Form W-3 to the IRS. Form 941must be filed and paid every quarter. Even if there was no household payroll in a quarter, you must file form 941 , because failure to file 941 will trigger penalties. Is Nanny Tax Deductible ? The nanny’s care must be required so you can work.